Grand Marnier Cordon Rouge is an orange-flavored liqueur created in 1880. It is made from a blend of Cognac Brandy, distilled essence of bitter orange bitter orange, and sugar. 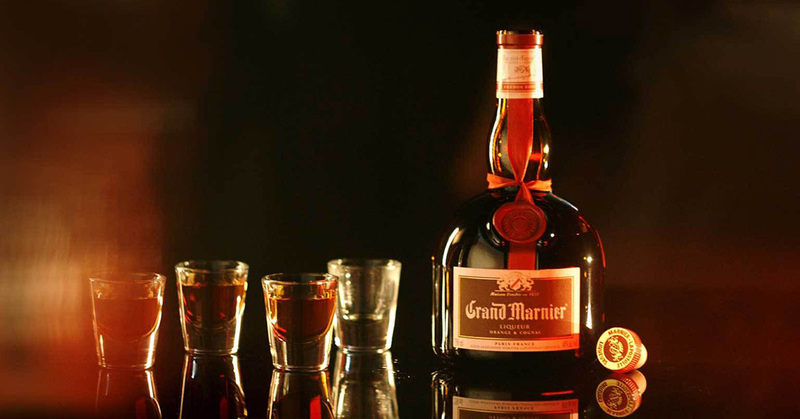 Grand Marnier Cordon Rouge is 40% alcohol (70 proof in UK, 80 proof in US). Aside from Cordon Rouge, the Grand Marnier line includes other liqueurs, most of which can be consumed "neat" as a cordial, and can be used in mixed drinks and desserts. In France this kind of use is the most popular, especially with Crepes Suzette and "crêpes au Grand Marnier". Cesar Ritz (1850–1918) reportedly came up with the name "Grand Marnier" for Marnier-Lapostolle, who in return helped him purchase and establish the Hotel Ritz Paris On March 15, 2016, the Campri Group announced the launch of a friendly takeover offer for Société des Produits Marnier Lapostolle S.A., owner of Grand Marnier.